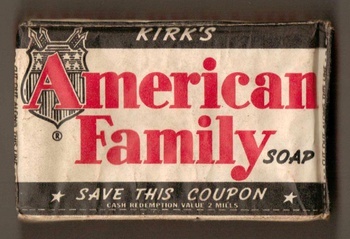 This is still-sealed "Kirk's American Family" bar soap made by Proctor & Gamble Company, Chicago, Illinois. - Circa 1930's-1940's. 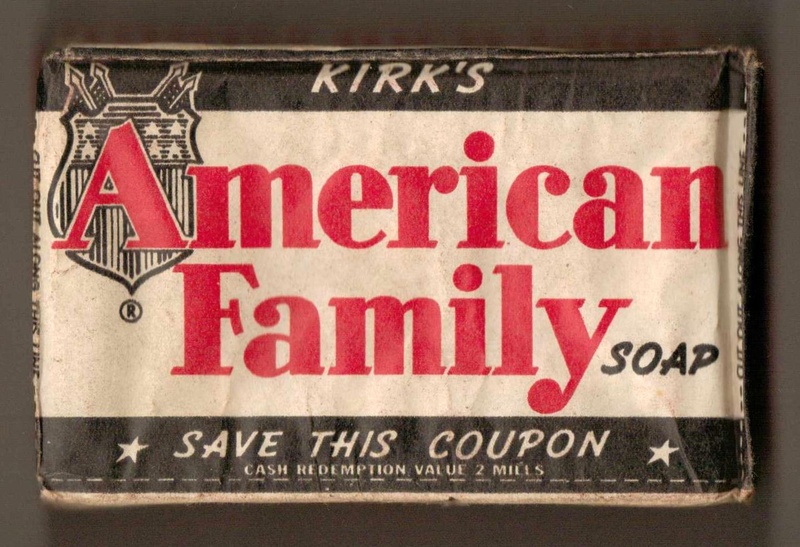 American Family Soap and American Family Flakes were soap products that were made and sold for the people in the Midwest. 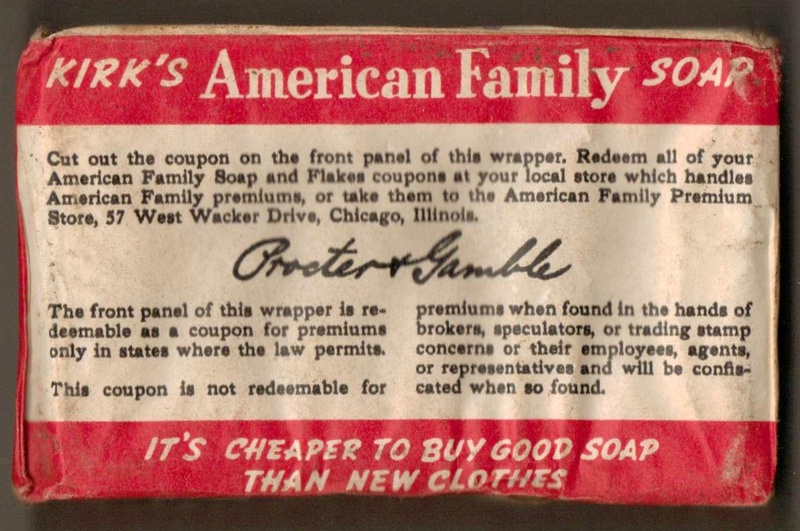 It was billed as the "The most popular soap in Chicago." 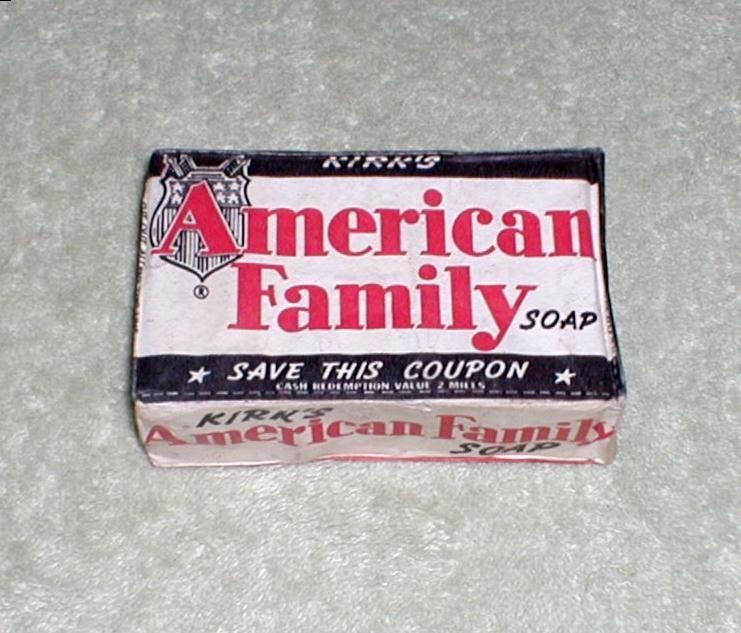 The reason why it was so popular was because its soap content worked well with the hard water in the Midwest. Fluffy white suds were ready to take on any laundry chore. 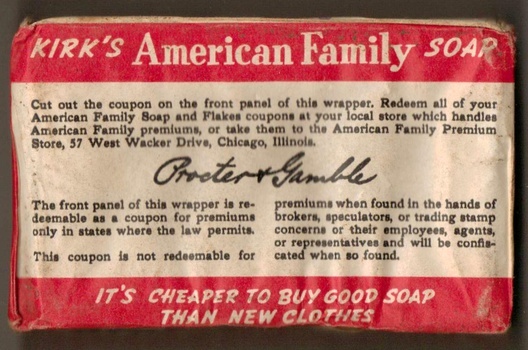 Using American Family also proved beneficial to all its users who took advantage of the coupons on each American Family wrapper and box. 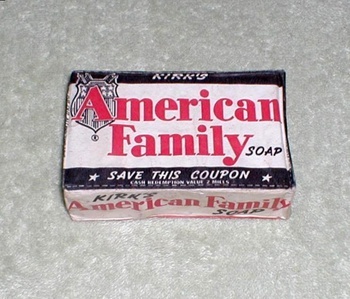 These coupons could be redeemed at any American Family outlet store for useful household items.